Welcome To Shanker Dental & Craniofacial Centre! Shanker Dental and Craniofacial centre is Madurai's largest dental care centre. It is a one of a kind, modern purpose built multi-specialty centre situated in the heart of Madurai, promoting a comfortable, relaxing but clinical environment, boasting the latest high-tech equipment. This enables us to provide highest quality care for our patients. We have all the necessary infrastructure under one roof complete with state of the art dental treatment suites, dental and maxillofacial radiology (including OPG – full mouth X-ray facility), modern integrated operating theatres and in-patient facilities. Our doctors are very highly qualified with extensive experience both in India and the UK. Dr Shanker has trained abroad in the highly reputed Royal London Hospital, UK for two years. From there he went to Dublin for further specialized training in Maxillofacial Surgery for a further 4 years under some of the most reputed surgeons in the world. He is currently a visiting consultant to various leading hospitals in Madurai including Apollo Hospitals and Shenbagam Hospital. 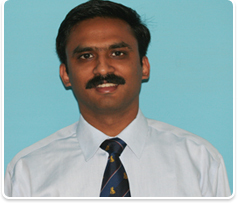 He has numerous publications in both Indian and International journals. He has been an invited speaker for international conferences in Oral and Maxillofacial Surgery in both India and abroad. Dr Aijitha Shanker is a specialist in Orthodontics (branch of dentistry that deals with straightening crooked teeth using clips). She is the first lady orthodontist in Madurai and has extensive experience and training. She has a special interest in correction of facial deformities and cleft lip and palate. She also has undergone specialised training in surgical orthodontics with an international faculty. 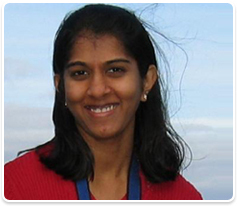 She has won numerous prizes for paper presentations in National & International conferences. We are located in an easily accessible, but calm part of the city. It is 2 minutes walk from the Anna Bus stand. We also have adequate off-street car parking. Madurai is one of the important cities in South India. The second largest city in Tamil Nadu, is situated on the banks of river Vaigai. As it is endowed with a rich cultural heritage and glorious traditions, Madurai is included in the group of antique cities present in India. The history of Madurai dates back to 6th century B.C. During that period, the city was the much-acclaimed capital of the Pandya kings. Back then, it functioned as an important commercial center of South India. It held sway over many small towns in the South. Madurai is famous for its temples, monuments and ancient cultural wonders. It is even called ‘The Athens of the East’. Madurai’s Meenakshi Sundareswarar Temple is one of the greatest architectural marvels of India. Built by the Pandya King, Kulasekara, and reconstructed later by Tirumalai Nayakar, the temple has patronized literature, art, music and dance ever since its inception. The entire city is built around the Meenakshi Amman temple. The city of Madurai flourished till 10th century AD after which it was captured by Cholas, the arch rivals of the Pandyas. The glory of Madurai returned when it came under the rule of the Vijayanagar kingdom and then Madurai was ruled by the Nayaks, the foremost of whom was Tirumalai Nayakar. Madurai is firmly anchored in Tamil literature and tradition. It is home to many poets and artisans. It houses an abundance of literary wealth of both classical and modern Tamil. It was the seat of the Tamil academy in the past. The city has been a center for learning and pilgrimage for centuries. The three Tamil Sangams (academies) evolved and flourished here. The city’s ancient Tamil kings were great warriors, poets and connoisseurs of art. Tamil literature flourished because of their generosity and literary fervor. The city is widely known as the Temple City, and is often also referred to as The City of Four Junctions (Koodal Maanagar), The Cultural Capital of Tamil Nadu (Kalaachaara Thalainagar), The City of Jasmine (Malligai Maanagar), The City That Never Sleeps (Thoonga Nagaram), Athens of the East and The City of Festivals. Today, the vibrant city of Madurai, seethes with activity from dawn to dusk. It has an excellent transport system and accommodation. So go ahead make Madurai your base and explore the whole of South India. Besides, if you are looking for a rendezvous with stories, history, bustling bazaars, spirituality and adventure, there is no reason not to dive headfirst into the chaos of Madurai. Madurai airport is at a distance of 13 km from the city center and is connected by road from all areas of the city. As an important airport in south India, it has four carriers operating from its base i.e. Kingfisher, Paramount airways, Jet airways, Air India. There are domestic flights from Madurai to all major cities in India. The International Airport is also opening shortly. The Airport code for Madurai is IXM. Apart from air travel, one can also opt for train transport. Madurai is connected to all major cities and towns across India. The railway station is one of the busiest in the country and has computerized reservation counters. Madurai division has repeatedly received the award for being the best-maintained station in the Southern Railway. The railway station code for Madurai junction is MDU. Madurai has several major bus stands: Madurai Integrated Bus Terminus (MIBT) at Maattuthavani (North), Palanganatham (South), Arappalayam (West), Periyar (Central) and Anna Bus stand (East). From MIBT, many buses to locations all over the south India operate round the clock. From Arapalayam bus stand, buses to places of western Tamil Nadu like Theni, Coimbatore, Tirupur, Erode, Salem operate and Periyar bus stand is where only city buses and private buses to major cities operate.